Dr. McGrath's education began at Southwest Texas State University and continued at the University of Texas Dental School in San Antonio where he earned his DDS (Doctor of Dental Surgery). He is an active member of the American Dental Association, Texas Dental Association and the Greater Houston Dental Society. In addition, he is a member of the Academy of General Dentistry. He received his Fellow in the Academy of General Dentistry in 2010. 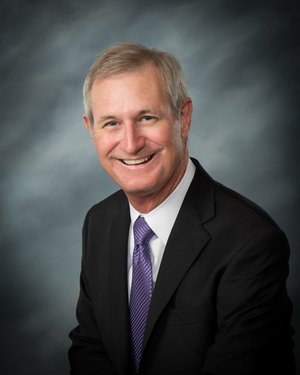 Dr. McGrath has practiced dentistry in Pasadena since 1981. He is an active member of St. Hyacinth Catholic Church. He has two grown children. When he is out of the office, Dr. McGrath enjoys hiking, biking, reading, skiing, and anything outdoors.